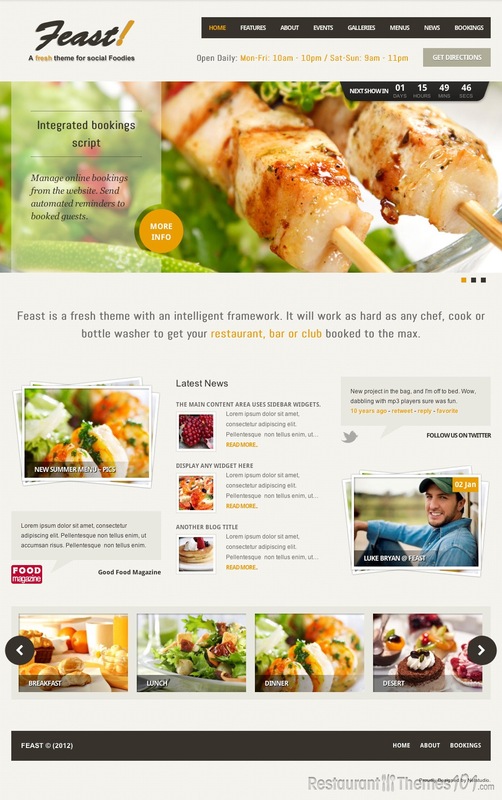 Feast is an incredibly functional WordPress restaurant theme that was developed by Net-Labs and is featured on ThemeForest. 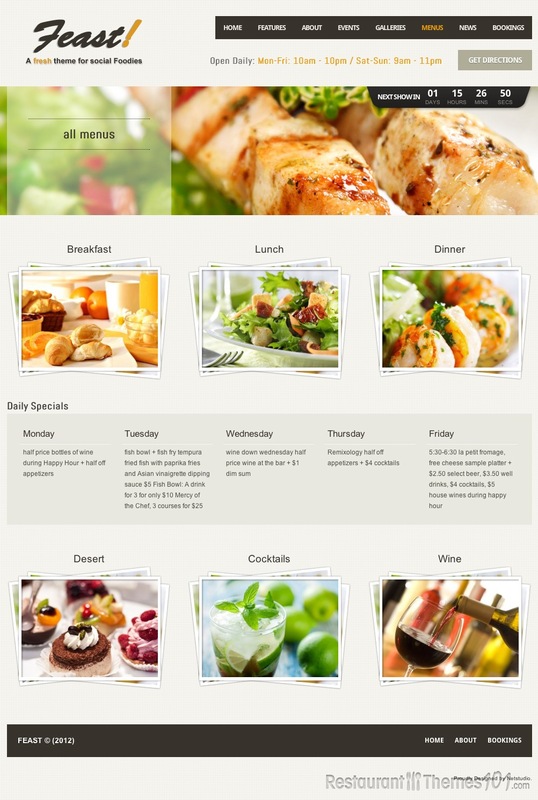 This theme has a noticeably wide range of great features that will make your restaurant website look classy and professional. 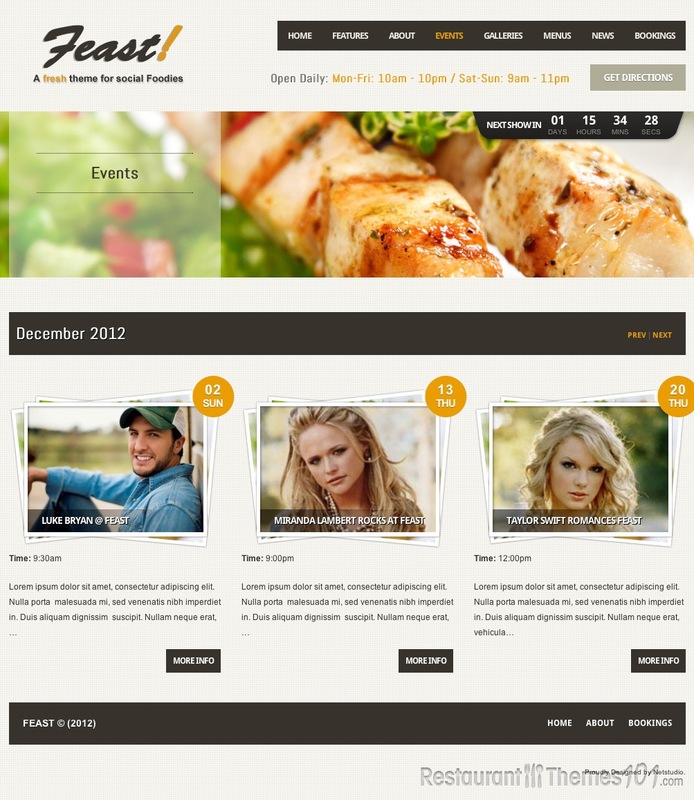 The layout of the theme is very trendy and modern, with even 24 color combinations you can choose from. The key features of this theme are not easy to define, simply because it offers so many of them, and all of them are there to help you build a rock solid, great looking website. 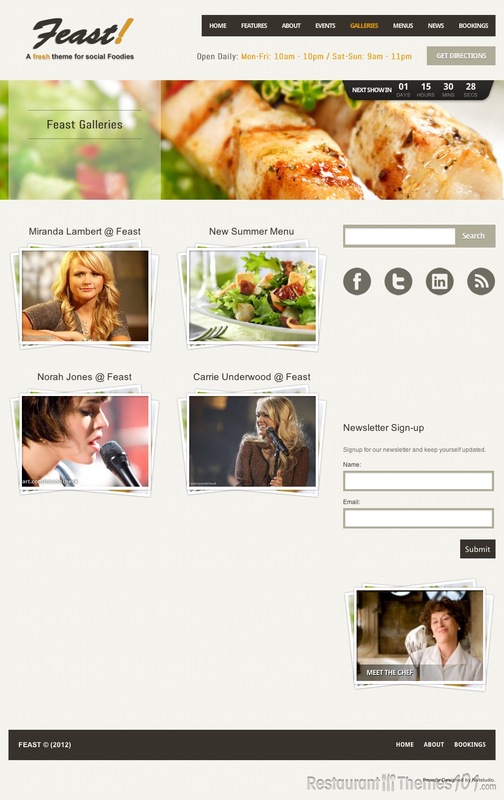 There are many options that can’t be found in any other restaurant theme out there, and your visitors are going to love them all. 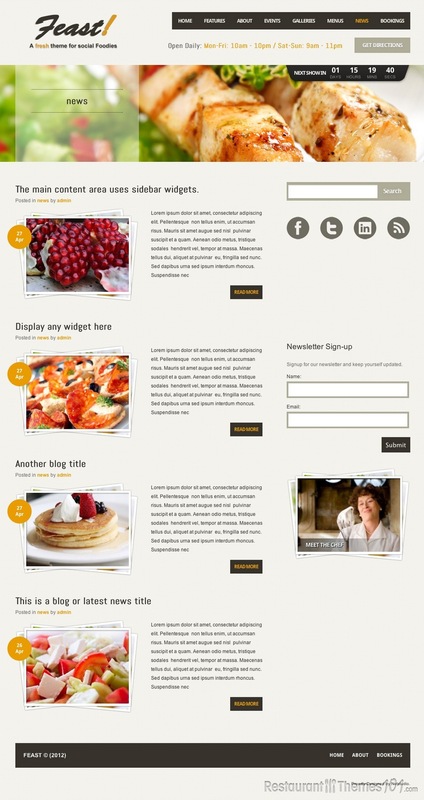 This theme features unlimited fan pages and some awesome unique widgets including a menu carousel, newsletter signup, Twitter single and multitweet widgets, a custom feedback widget, image link widgets that link to any content, etc. Feast also features an advanced custom events calendar where you can add your events along with photos and guidelines, and it includes a countdown timer that really catches the eye of your visitors. 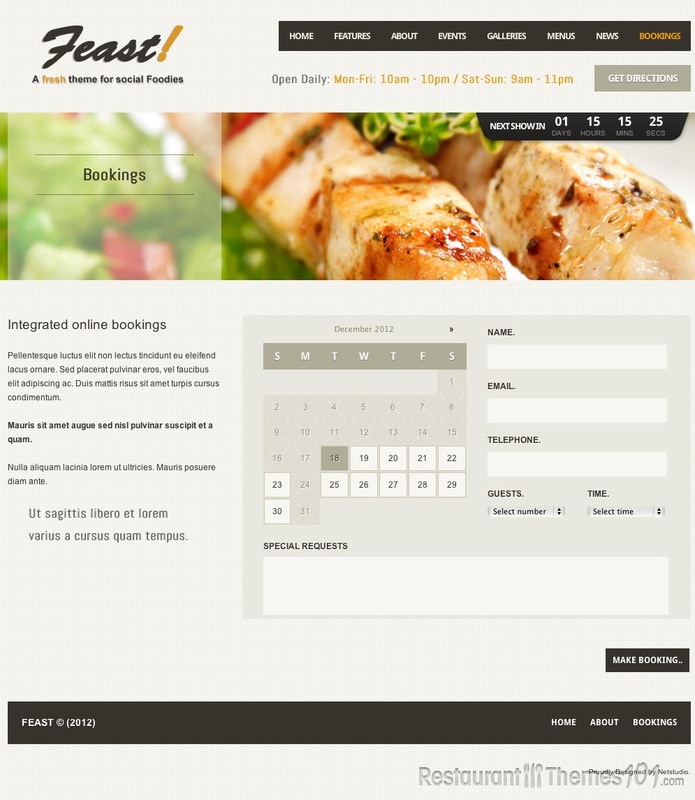 As for reservations and bookings, once again this theme features a great solution. You will get an intelligent bookings application with the possibility of emailing the customers along with sending reminders of the bookings, and you will have a proper management of your table reservations. Social network integrations are very important nowadays, therefore the Facebook integration this theme offers has to be mentioned, because it works perfectly well and it looks great. 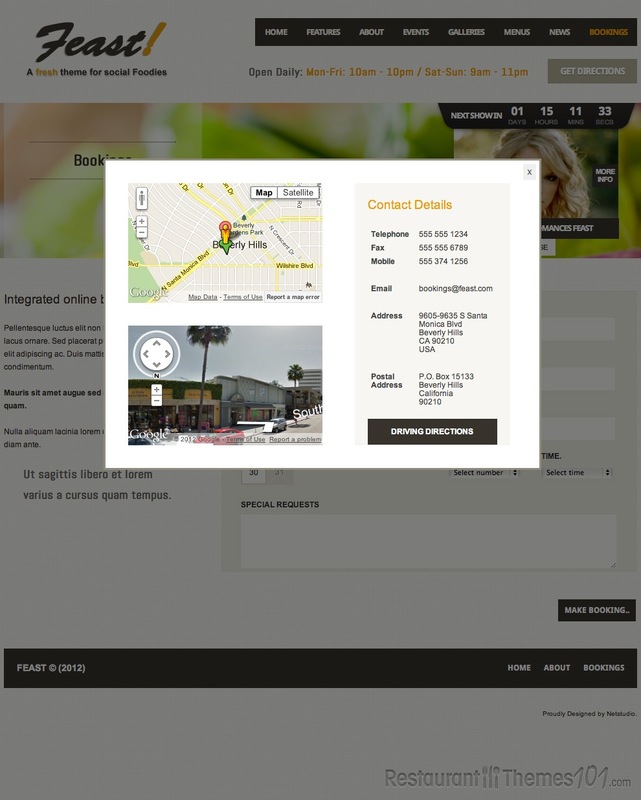 If you would like to give your customers an exact direction to your website, this is going to be very easy too, because this theme features Google Maps integration along with the 3D Google Street View feature, so you don’t have to worry about your visitors getting lost or confused on their way to your place. 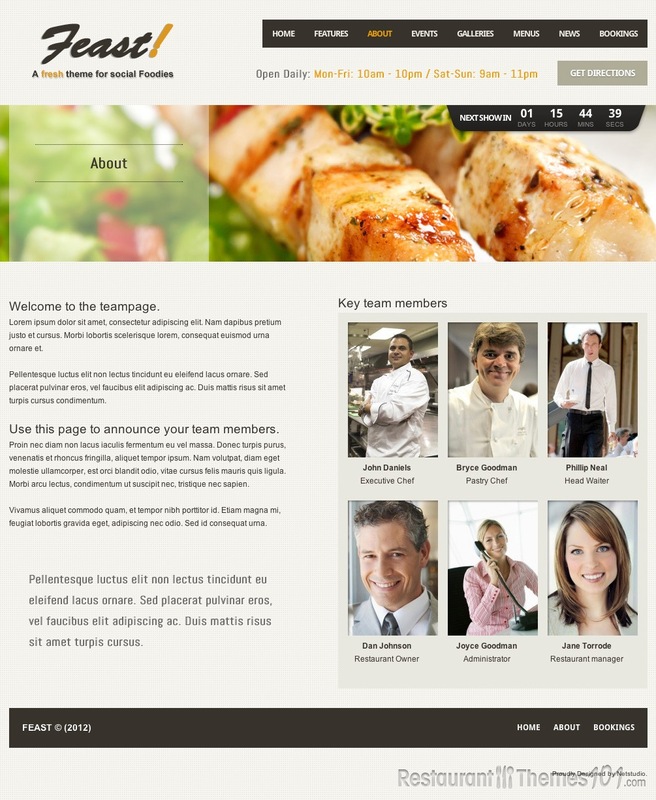 Installing the theme is very easy, you will get full documentation with clear instructions and you will be able to have your website up and running in no time.